People responsible for or involved in process or manufacturing engineering. What are Lean Manufacturing Process Layouts? Manufacturing process layouts are an important focus in Lean organizations because they are often full of inefficiencies that lead to wasted time, effort and materials. The first step in rethinking a manufacturing layout is collecting data about the existing process. Information such as machine load, takt time, equipment reliability, set-up time, yields, and staffing requirements are necessary inputs for redesigning process layouts. With data on the existing process, new layouts can be considered in order to minimize cycle time and travel distance and simulate a continuous flow process. Each scenario will present unique challenges (process flow, physical constraints and support systems) that will need to be considered as the ideal process flow is developed. 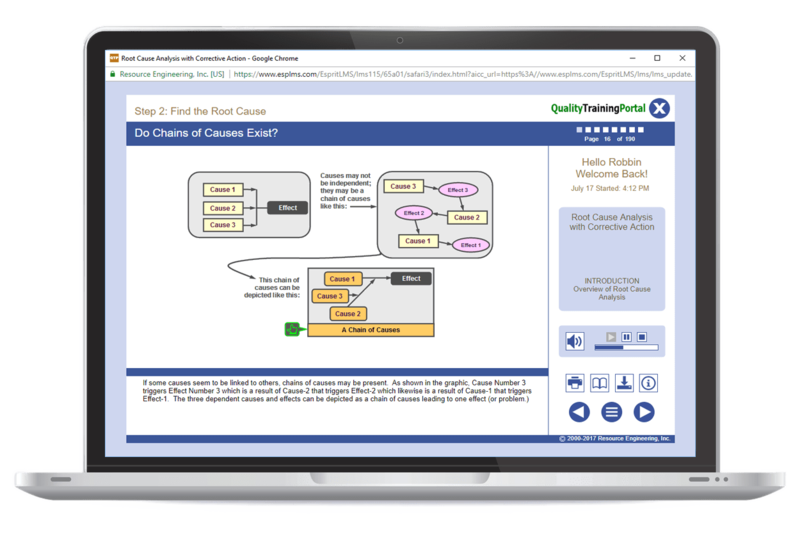 This course explores sources and formats for collecting and analyzing data for lean efforts and shows how to use that data to design process flow patterns and physical layout options leading to lean practices. Improve the efficiency and effectiveness of process layouts. Measure the effects of the improvements. Understanding of terminology and philosophy of Lean Manufacturing such as Overview of Lean or equivalent. TPM Basics – Focused training on what TPM is and how it can be used to improve the reliability of equipment in a manufacturing environment. Describe the purpose of setting up work cells based on product families. Explain the purpose of a macro workflow and why it should be developed before micro workflows are determined. Identify major issues to consider when laying out a macro workflow. List factors that must be considered when establishing a micro workflow.